The Migration Directorate has introduced the following key stricter requirements for Short-Term Residence Permit applications, among others: •	A new appointment system that will result in fixed appointment dates for initial Residence Permit applications; •	New rule to include a police clearance from the applicant's country of nationality; and •	A shorter permit validity of one year, with a maximum renewal period of five months. The Migration Directorate has introduced stricter requirements for Short-Term Residence Permit applications. Initial Residence Permit application process. Foreign nationals must now log in to an online system to request an initial Short-Term Residence Permit appointment. The Migration Directorate will then email a set appointment date within 14 calendar days, at which the applicant must submit their application documents. Previously, applicants submitted their documents online and selected an appointment date in the same process. Impact. Because the Migration Directorate emails a fixed appointment date to applicants lodging their applications online, those using the online system will no longer have a choice for their appointment date. If an applicant cannot attend the appointment on the date provided, they will have to cancel their application and start over. Renewal Residence Permit application process. Renewal applications are uploaded online then filed by mail – there is no change to the rules or the process. Impact. Eligible applicants, who may have usually chosen to file an initial Residence Permit application instead of a renewal to avoid the travel restrictions imposed on applicants with pending renewals, may want to consider filing renewal applications so they can avoid the in-person appointment that is required with the initial Residence Permit process. Mail-in renewal applications restrict the applicant’s travel to two weeks outside of Turkey per trip while the renewal application is pending, however a renewal may still be more convenient for those who cannot attend an appointment on a set date. Police clearance. The Migration Directorate now requires a police clearance from the applicant's country of nationality, issued no more than six months before filing the application, and legalized for use in Turkey. Impact. Employers will need to initiate cases under this status farther in advance, and foreign nationals will need to start the document gathering process long before they submit their Short-Term Residence Permit application, since it may take several weeks to obtain a police clearance. Proof of sufficient funds. Applicants must provide enhanced proof of sufficient funds to support their stay by showing funds in the form of assets in Turkey or recurring funds into their bank account, rather than a lump sum deposit. If relying on a lump sum in a foreign bank account, Fragomen advises applicants to prove an amount of at least USD 50,000. A bank letter is no longer accepted as sufficient proof of funds. Previously, a bank account in Turkey with a minimum of 500 USD per month of stay was sufficient. Impact. Foreign nationals will need to manage their funds properly in order to provide the appropriate proof. Limited validity. Permits will now be granted for a maximum of one year, and can be renewed only once for up to five months. Previously, the permit could be issued for up to two years with unlimited renewals. Impact. Foreign nationals under this status will be subject to shorter allowable stay periods. The Short-Term Residence Permit is suitable for short touristic stays and only grants residence rights, not work rights. It is often used for retirees and unmarried partners, among others. The above measures aim to increase scrutiny on applicants and to decrease the alleged high incidence of misuse of this permit for (illegal) employment purposes. Fragomen worked closely with the Bener Law Office in Istanbul to prepare this alert. This alert is for informational purposes only. 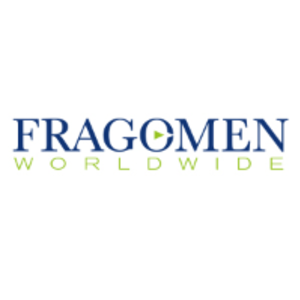 If you have any questions, please contact the global immigration professional with whom you work at Fragomen or send an email to emea@fragomen.com.